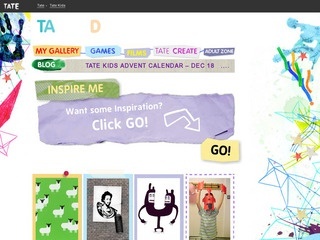 Children can create their own artwork, upload their artwork and create their own gallery on this website. Children can play games and watch films. Ideas for creating arts and crafts are included. An adult zone includes the internet safety clause, lessons for teachers, and ideas for parents to use with their children.